Add $15.00 for postage and packing. The first batsman to hit a six in Test cricket, Joe Darling is one of the giant figures of cricket's Golden Era, best remembered as a record-breaking batsman and outstanding leader of men. Captain of three Ashes tours to England in 1899, 1902 and 1905, he guided Australian cricket through its coming of age and captained the most successful Australian teams in England until Bradman's Invincibles. 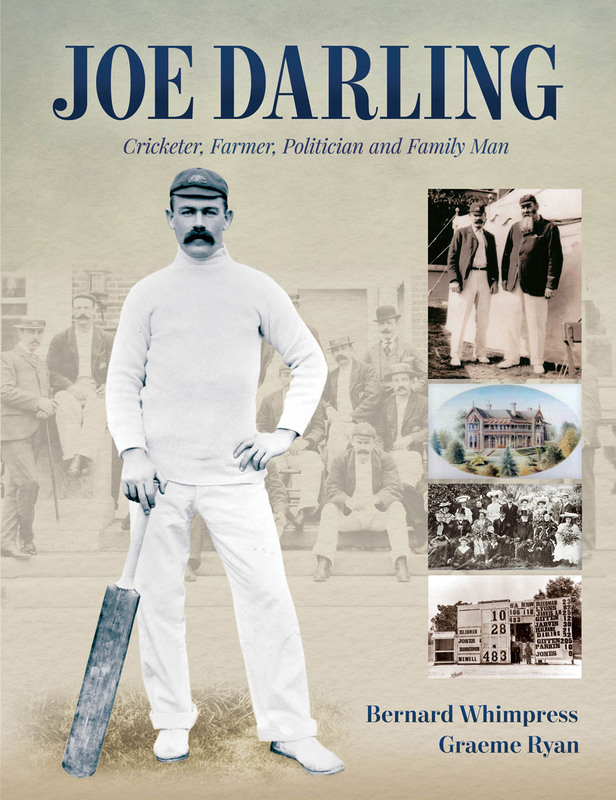 Larger than life, Joe Darling, by his discipline and democratic approach was admired by all cricketers who served under or played against him. During the latter part of his life, farming and politics in Tasmania took him to prominence as he applied the same personal attributes which had brought him cricketing success. A member of the pioneering Australian dynasty, Joe achieved greatness like many other renowned Darlings through the generations. A father of 15 children, he was a devoted and loving family man.